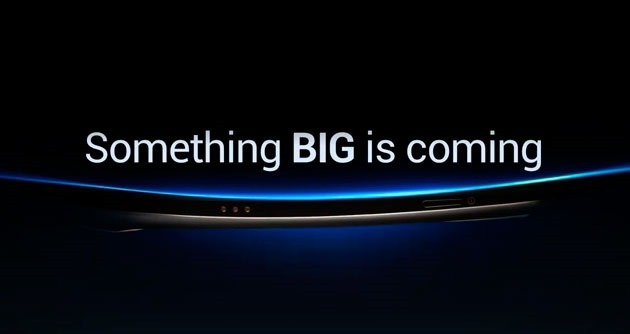 Samsung have began to talk about Something big coming In the first of their official teasers for the Samsung Unpacked Google Edition Event which is to be held in San Diego in just 6 days time (October 11th @ 11:30am). Outside what looks to be an arced handset shape not much is given away in the image though we can assume that the bright blue line above the handset points towards the luminosity of the screen, suggestive of Super AMOLED. The video trailer show’s even less in terms of giving anything away though starting at the 22 second mark you can make out 3 buttons which are very small in size, what looks like a MicroSD card slot and a power button.